Hello everyone, welcome back to The Blogger Genius Podcast. You’re going to love my guest today. She is Crystal Paine, founder of MoneySavingMom.com, host of The Crystal Paine Show podcast. She’s a New York Times bestselling author. And really, she is a powerhouse. She has built her business into a seven-figure business. And we’re going to get into all the details of how she thinks about social media, Instagram, Facebook, how she serves her audience. You’re going to get all of her strategies. And what’s really cool is her whole goal is helping other women live great lives with passion and purpose. So without further ado, here is my interview with Crystal Paine. Crystal, welcome to the show. Thank you so much for having me. I’m super excited to be here to talk about one of my very favorite topics in all the world — blogging. Yay! Great. And we met about a month ago or a couple weeks ago at this AdThrive get-together, and I heard about you and saw what you were doing. And I was like, please come on my show. Well, thank you so much. I am just honored to be here. Aww. All right. Can you share your entrepreneurial journey, like how you got started and what you’re doing today? Yes. So my husband I got married over 16 years ago, and we had set this audacious goal that he was going to go through law school and we were going to stay out of debt. And we didn’t really know how it was all going to work out, but we had some money set aside. And we just knew that if we lived on really little that we can maybe make this happen. So we started in on this journey and quickly found out then that I was pregnant, which we were super excited about, but I had to quit work because I was so sick. So I’m laying in bed, kind of paving the path from the bed to the bathroom because I was so sick with my pregnancy, and just started researching everything that I could about making money online because I knew that I wanted to be a stay-at-home mom after our baby was born. I knew that I needed to be bringing in money right now to make up for the money that I had lost because I wasn’t working. And so part of that was signing up for all these Yahoo groups that were about entrepreneurialism because that was the age of Yahoo Groups, we didn’t have social media back in the day. Wait. What year is this? And so I just started asking people who were actually making a full-time income online, you know, what are you doing? And I started trying all sorts of things. I started learning about affiliate marketing and just really experimenting. So this would have been… this was 2004. And in the process, I set up a couple of different websites. I tried some different things, a lot of things that didn’t work and made a lot of mistakes, did it all on a very tiny shoestring budget, but in the process, discovered blogging. Because people were saying, well, if you have a website, if you add a blog to your website, it will help your SEO because, you know, Google loves blogs because they’re regularly updated. So I didn’t really know what blogging was, but people were saying you should do it. So I set up this blog on Blogger that I attached to, you know, put it on my site. What was your site? What is this site? Okay, so this was a site for Christian women. It’s in the vault of shame now. Oh, I don’t really talk about it because I was 23 years old and thought I really knew every thing there was to know about how to be a good Christian woman. Anyway, so made a lot of mistakes. So it was actually called Biblical Womanhood, if you want to know. Okay, there you go. There you go. My vault of shame. Brought it out of there. You can find it in the on the way back machine if you want to be really annoyed and irritated with me because I get really annoyed or irritated myself when I find it. So I was blogging on there and just really blogging about all sorts of different things because I didn’t really know, you know, there weren’t books and there weren’t courses. There wasn’t anything to tell you like this is what makes a good blog. And I look back not only with my content, so black and white, and, you know, like I said, annoy myself with what I was writing about, because I was so hard-nosed and passionate about things and legalistic and all that. But I also would write these huge run-on sentences, and it did basically everything wrong as a writer. But I learned from that and people started coming and reading this blog probably because there weren’t a lot of blogs at that time. And I really discovered that I loved blogging and then started seeing some people who were actually making money blogging, and I started to pay attention and experiment. And since this was a blog for Christian women, I was kind of talking about really hot button topics, there was a lot that I couldn’t do to monetize that. But I did discover that people were really interested in the topic of saving money. And my husband and I, like I said, you know, we’re trying to stay out of debt. So we were living on this beans and rice law school budget, and a little basement apartment that we were living in. And we were just trying to, you know, stick with a really small grocery budget. And one week, I had bought all our groceries that week for $17 because that’s all we had. And our grocery budget was actually $30 a week. But that week, we only had 17, so I made it work. And people just started coming out of the woodwork saying, “Oh my goodness, how are you doing this?” So I started blogging about saving money and how to save money on groceries, and more and more people just were hungry for this information. So really, Money Saving Mom was born out of that. I didn’t see that it was going to be something that I was going to do as my full-time thing. But I started it in 2007. Because I saw the need was there that people were interested in it, that I was passionate about this topic, that I had experienced with it. And then just it kind of took off far beyond what I could ever dream or imagine. And within a year, we were making a full-time income off of Money Saving Mom. Okay. Did your husband come work with you? Or was he doing his legal career. So he graduated from law school and I’m trying to think. So we started money saving mom in 2007, and he had just graduated and he had gotten a job. And actually, this is an interesting story. I don’t usually tell this on podcast. So after law school, it was a really hard time in our marriage. And because had gotten a great job but then something happened with that, he was in politics, and then you know how things go with politics. And then the guy he was working for lost his election, so then he lost his job. And that was really hard for us because we had thought that he was going to be in that job for at least a few years, it was going to be a great stepping stone dropped. So I started Money Saving Mom, actually, whenever he was unemployed and we were just trying to figure out how to make ends meet. And it was kind of one of those things where I saw, Well, there’s a lot of potential here. Why don’t we jump out and try this? And so it’s really cool to look back and see how that really hard time in our life, we never knew what it was going to turn into. So to answer your question, then he got another job and a legal job. And then he opened up his own law firm and he did that. And then in 2014, he shut down his law firm, and we decided to have him come home full-time. Wow. Wow, I love it. I love that you created this thing that became your family business. Yeah. And it’s crazy how, you know, he went to law school and we thought that that was going to be the long term. You know, that was like what we saw, like that’s the finish line, like he’s going to be an attorney. And then that actually ended up being the stepping stone for this much bigger, much greater thing than we could ever dream or imagine. That’s amazing. Now, and what is his role versus your role today? And how big is your staff? Yes. So I always say I don’t have a staff, I have a team because we’re all on the same page and I’m not like, Yes, I am the boss — but I hate to use that term. You know, if that makes sense. So we have two full-time employees, and then we have about seven part-time. And so my husband, we always say he doesn’t work for me; he works with me, because we learned that in our marriage that that doesn’t work. So he does all of the legal obviously, which is really great to have an attorney on board. So he looks at all the contracts and fo different companies that we work with. And then he also takes care of all the financial aspects. So he is over every single detail of the budgeting and the spreadsheets and payroll, and all of that. He works with our CPA and takes care of all that for me. And then we recently launched a podcast, and we did not expect that this was going to happen, but he came on the first episode. He was my guest and people loved him so much that after 25 episodes, I asked him to be my co-host. And so we are podcasting together. And now he is also my podcast kind of producer, he does all the sound and everything for that. Okay, first of all, what is your podcast called? It is called The Crystal Paine show. Okay, and what is it about? And so basically my heart for it is just to really encourage women to live with intention. So, it’s kind of done like a radio show where we have different segments. Every week, I always bring a book that I have loved and would recommend. And then we have a “what’s saving your life” segment. So it’s something that’s making my life better, easier and more enjoyable. And then we do a Q&A at the end, and then in the middle we usually have about a 15- to 20-minute interview with some guest, and I always choose someone who has impacted my life in a deep way. So it’s about 30 minutes. And we do a lot of things in the 30 minutes, but we’re having so much fun with it. I know. I love podcasting as well. Oh, my God, that is terrific. Now, very briefly, how do you make money? I mean you started with blogging, and you mentioned, you know, affiliates. In all honesty, you have a very successful business. So could you just share the different income streams that you’ve been able to put in place with your business? So I always tell people that if you want to be successful, you need to literally have thousands of different income streams when it comes to blogging. So blogging is still our bread and butter. And we still make, I would say that probably 50% to 60% of our income comes through the blog, through affiliates. And we also do a lot of sponsored posts and types of where we work with companies. It has to be super picky, but has to be a win-win sort of opportunity. And then I also have some courses that I have put together, I have written three books. And then blogging courses at Yourblogginguniversity.com and then also a blogging mastermind. Wow, you are one busy lady, very busy. And here’s the piece that I also want to figure out how you find time for, which is you seem to be an early adopter of social media platforms. And I’ve been watching your Instagram since meeting you. I’ve been watching your Instagram stories, and I love it. And I feel like I know you and you’re my best friend, even though you don’t really know me that way. But it’s just like you really welcome people into your life. And can you talk about how you’ve done that, how you’ve jumped on to social media platforms, and what your strategy is, and what is connecting for you today? Yes, so I would say first off, my heart is really to help women feel seen. I’m very, very passionate about in this world of disconnect where we have so many dings and bells and whistles. And we don’t have a lot of face-to-face relationships. I feel that it’s so important for people to feel seen and known and valued. And so social media, for me is the way to connect with women in a really personal way, which is why I try to answer every single direct message that comes in. I try to answer as many comments and as many emails as I get, even though that’s typically hundreds every day, because it’s really important for me that people feel that on my platform. So social media, that’s my heartbeat behind it. And I love how you said how you feel like you’re my best friend, because that’s really my goal. I don’t want to be someone who’s like standing up on a platform. I always try to, when I go speak at an event, that I lower the stage immediately, that I am just like you. I am in the trenches with you, I am learning with you. I don’t know everything, I haven’t figured it all out. And I want to learn from you as well. So that’s really my heartbeat behind it. But as far as being an early adopter of social media, it’s funny because when Facebook came around and started to kind of be a thing, because like I said, when I started blogging, there was not social media, we had blog posts and comments and emails, that’s what we did. But when it started to become a thing, my husband actually said, You know what, I don’t see anybody doing this, but I think you should start like a Facebook page for your blog. And at this time, people weren’t doing this. And I was like, I don’t know. That’s kind of weird. But he’s like, I just think you should try it. And so I did. And that ended up kind of blowing up my site over the course of the next four years. And so I learned from that, that it is good to always be looking at what is the next up-and-coming thing because if you want to survive for the long haul as a blogger, you need to and actually constantly be looking to experiment, and constantly be looking to evolve because the internet is a constantly changing medium. And so for me, now a lot of what I do is on live video and Instagram stories. And that’s a huge piece of our business. And people who aren’t doing that, I feel like they’re missing out in a big way. Because the connection and the level of depth that you can have within relationship building and building trust, just you can’t get that anywhere else. Interesting. Okay, so you were first on Facebook? And that was your platform? Yes. And then Facebook, so there was a timeframe when Facebook, it’s just like, they shine their light down on me and they were literally showing my post to every single person who followed me plus a whole bunch more. So at that point we were getting, there was a time period where we were getting 20,000 new followers every single week on Facebook. So it just blew up. And then the algorithms changed, obviously, and it’s not at all what it once was. But Facebook still is a very strong traffic stream for us. I think a lot of people have kind of, you know, feel like Facebook has died. But not for us. We still are very strategic on how we use Facebook and constantly experimenting, and it still brings in a lot of traffic and engagement for us. Okay. Wait, you have to stop. How are you using Facebook to drive traffic, like what are these experiments? So we’re constantly trying new things. One of the things that right now I will tell you and in three months from now, this might not be working, but I am finding that… So Facebook Live used to be a great way to get a lot of engagement, a lot of traffic. I am actually figuring out right now, this is something I’ve been experimenting with just for the last three to four weeks, that if I do an Instagram Live, and then I save it and then I upload it to Facebook. And you can actually run it little like it’s a live video or you can just put it uploaded as a video. And then I pin it to the top of my page, I’m going to get significantly more views than I would if I did a Facebook Live. So I’m trending. And then I can also post that on IGTV, so then I do one Instagram Live and then I’m able to use it. It not only shows up in my feed for 24 hours, but then I can post it on Facebook and do IGTV. And how often then are you doing this Instagram Live? I typically, I usually am doing at least an Instagram Live, four to five times a week. Okay, and how long are these Instagram Lives? That’s an interesting question. So it really depends upon the topic. And so I typically do a morning show. I don’t do it every single morning. But typically I’m going to do a morning show on Instagram Live. And those are going to be somewhere between 6 and 15 minutes. Now if you do not have a business account with 10,000 followers, if you’re going to upload it to IGTV. you don’t want to do it longer than 10 minutes because you cannot upload a video that’s longer than 10 minutes on IGTV if you don’t have over 10,000 followers. So just something to keep in mind. Because I do have more than 10,000 followers, and I don’t worry so much about the time, but I would say that one of the big things for IGTV is that you always have to remember that most people are watching the replay. And so you do not want to be waiting. This is such a big thing for live video, you don’t want to wait around. Don’t wait for people to show up, dive right into your content, tell people within the first 5 seconds exactly what you’re going to be talking about, so that you are kind of, you know, pulling them in right from the get-go. If they have to sit there for 45 seconds and wait for you to tell what you’re going to talk about, they’re gone. Interesting. Okay, so to start, you don’t have anybody showing up. You’re there. You’re recording, you’re talking about what you’re going to be talking about. Yes, and then just dive right into your content. I think this is so important when you do Facebook Live. And when you do any kind of live video, I think that I see so many people that they’re just sitting there kind of waiting for people to show up. And they’re forgetting that the gold for live video is in the replays and you want to always make sure that you’re thinking of your replay audience. Are you a blogger or entrepreneur whose traffic is taking a hit due to those ever-changing social media algorithms? Have you heard that the real money’s in your email list, but you don’t know how to increase your subscribers? Do you feel overwhelmed trying to grow your social media followers and trying to be in all places all the time? If any of that describes you, I want to share a tool that will increase your social media followers, grow your email list, and bring in more traffic to your site. It’s called MiloTree. MiloTree is an app that my husband David built for our site, Catch My party. When we began Catch My Party back in 2009, Facebook was sending us loads of traffic and we were growing like crazy. Well, that is until a sudden algorithm change had a scrambling. We knew that Pinterest was the best place to get more traffic. And so in 2015, David built a pop-up to grow our Pinterest followers, knowing that more followers equal more traffic. It worked immediately. In the four years that we’ve been using the MiloTree app on Catch My Party, our Pinterest account has grown exponentially over 1.1 million followers. And Pinterest now drives millions of page views to our site every single month. In 2016, we rolled out the MiloTree app to help other online entrepreneurs just like you, and we expanded it to help you not only grow your Pinterest followers but also your followers on Instagram, Facebook, and YouTube. It’ll grow your sales on Shopify and Etsy and even grow your email list. MiloTree is easy to use. it can be installed in under two minutes with zero designer technical skills. And as fellow online entrepreneurs, we understand the importance of site speed and staying in Google’s good graces. So MiloTree is lightning fast and Google-friendly. The military apps also customizable, you can focus on growing one platform at a time or switch between several. We also provide you with analytics to help you choose which platforms to focus on. Right now, you can get your first 30 days for free. 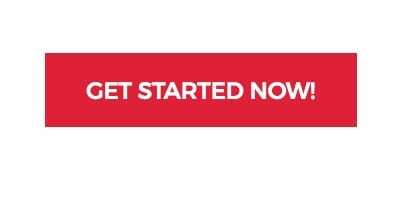 Just go to MiloTree.com calm to sign up for your free trial today. Don’t let anybody tell you that traffic doesn’t matter. It matters a lot. Whether you want to work with a premium ad company. go after larger brand sponsorships or simply have more people to market your own products to, your traffic must be growing. If you aren’t converting your visitors into followers, subscribers and customers, you need to change your strategy. And MiloTree will get you the results you need. But it can’t help you unless you add it to your site. So take the first step today and head over to MiloTree.com and start your free 30-day trial. There are no contracts and you can cancel anytime. As a bonus, once you sign up, I’ll send you valuable business tips each week to help you continue to grow your business. You can’t be everywhere all the time. Let MiloTree work for you. It’s fast, it’s easy, and it gets results. So what are you waiting for? Get your free trial today. Go to Milotree.com. How does that fit in with your Instagram stories, because that’s what I’ve been watching of yours? So Instagram Stories is a completely different animal. And so it is the one place where I am just completely free to post whatever. So on Facebook, I am much more focused on I have your blogging mentor Instagram account, which I’m much more focused on what I do on there because that’s about. you know, helping people and build and grow their blogs and social media platforms. On Facebook, it’s Money Saving Mom. So it’s very much about helping women live with intention, helping them save money. But on Instagram stories, I just feel like this is my personal account. And I just view it as whatever I want to talk about, whatever I want to tell people about, I will tell them about it. And so I take people along on my day, I tell them stories. I will talk about if I have some kind of promotion going on. If I am ranting about something, usually it’s a gentle rant. Okay, so let me step back and let me repeat this back to you just so I understand. Every day you’re making stories, right? Because I see them. And you’re doing a couple stories every day. And what I love about it is you’re so personable and you share your fails. I love when you share your fails, or you share stuff that you’ve bought, or whatever it is. And so that’s where I’ve been focusing and and you’ve been definitely building this one-sided best friend relationship with me. And so that’s what you do throughout your day. Right? Yes, then a couple times a week, like four or five times a week, you say you’re doing an Instagram Live. Now, in your Instagram Live, what are you doing? What are you selling? How are you monetizing that? Because your stories, you’re not really monetizing. It’s really just like building a relationship. Would you agree? I actually do monetize my stories a lot. We make thousands and thousands of dollars off of Instagram Stories every month. Okay. So that’s what people don’t understand is that people are following bloggers, they’re not following blogs; or they’re following influencers, they’re not following the influencer account. And I think so often we missthat. People want to build relationships. And so when you build a relationship with someone, you can take them wherever you want to go. And they will come with you because you built a relationship and you built trust. So on Instagram stories, pretty much every day, there’ something that I’m pointing people to. So for instance, yesterday I was doing this deal with a company for these water bottles. And so I talked about how I drink a gallon of water. That’s something that I talked about a lot on Instagram. It’s just who I am. I eat two salads a day and drink a gallon of water. And so there were these cool water bottles that you were tracking how much water you were drinking. And so the company had sent me one and we had an affiliate relationship and they had a deal on it yesterday. And so I do a lot of that, but I make it so that it doesn’t feel salesy, you don’t realize even that, you know, I’m just talking about stuff that I love. And so I did a series of I think it was probably five stories, so frames that made up one story on that, but I’m talking about here’s, you know, I like this water bottle and here’s why I like it and then swipe up and you can go get it. So then also a lot of the time I am sending people to go sign up for something that’s a freebie on my site, but I’m getting them on my email list. And then I have a whole Welcome Series and sequence that then the goal is hopefully that they’re going to buy a product as well. Got it. And what is that product in your welcome series that you’re trying to sell? So I have a lot of different ones. And because I have a lot of different courses. But recently we’ve been focusing on I have this Five Days to a Better morning series that I did that is a five-day email series that you also get videos and an exclusive Facebook group invite. And so when you sign up for that, then also the goal is it’s going to push people hopefully to buy my Makeover Your Mornings course. And you get a deal on it and everything. So if people want to check that out, that’s at Crystalpaine.com/mornings, so you can see what I’m doing there. Interesting. Okay, so you’ve got in a variety of, like, you’ve got Money Saving Moms, but then you also have Crystalpaine.com. Okay, and you’re running these three businesses, which all have different income streams. Okay. So let’s now go back to, I get now your stories and I get how you monetize them. Now, four days or five days a week, you’re making a 6 to 10 minute, let’s say, video on Instagram Live, and then you are taking that video, you’re putting it on Facebook and pinning it to the top of your page, you’re also putting it on it TV. And the goal is that people will come back and see it over time. And so there’s like a couple of different goals with so why I do the videos, the live videos. I can dive into a subject in more depth than I could on stories. So a lot of times I will pick a topic. A lot of times I’m answering questions, and it might be a question, I get a lot of questions about anxiety and insecurity, about something that I’ve struggled with a lot and helping women to build courage and all that. So a lot of times my lives will be on topics similar to that. And then I will also do lives that are specifically on saving money and showing my grocery hauls. So these are two separate things but your audience knows this is what you’re known for, this is why they come to you. So they’re willing to go, Wait a minute, you know, because we’ll talk about this idea of niching down, which everybody talks about. But these are disparate things, right? You’ve got anxiety, and you’ve got money saving. Yes. And so that’s the thing where I feel like, you know, some people would say you’re doing way too many things. But I have found that when people are following you, they love whatever you put out. Now is everything that you put out going to be helpful to them? Absolutely not. Some people only come because they want when I talk about my personal things, or they only come for the grocery hauls and whatever. But that’s why at the beginning of the live, I will say you know, today we’re gonna be talking about blah, blah, blah so that they can know, Oh, this is for me, oh, this is not for me. And you know, we have a lot of people who follow who aren’t moms, but a lot of people who follow are. So some topics will be specifically about mothering or parenting. And so I try to make that real clear up front. But because we have, you know, so many followers, then it allows me the ability to kind of hit a lot of different spaces. And that’s okay because people are following me, they’re not following specifically for a, Oh, I’m only expecting that she’s going to talk about saving money. But one of the things I was going to mention, so with IGTV, the reason that I put it up on IGTV is that Instagram right now is really, really rewarding people for using IGTV because they want that part of their platform to grow. And so if you put it up on IGTV right now, they are going to show it in the Discover page a lot more than they will show anything else of yours. So I am typically doing IGTV not only so that I can have kind of an evergreen place where if someone has watched my live, I did a live last week that was all about like the dopamine effects of social media. Interesting. That I did on social media, but I was talking about our kids and the choices that we make for our kids and why they don’t have social media. And so that one was one that got a lot of views. And people kept writing and say, you know, Where can I get the download for this or whatever. And so when I put it on IGTV, it allows people to be able to share it. But mostly, I’m putting it on IGTV so that it’s showing up in the Discover page, so that I’m getting a lot of new eyeballs on my account because of that. Now how again, are you monetizing these videos versus your story? So like the water bottle thing, I totally get it. You got this new cool water bottle, you’re sharing about it. And you’re saying, Guys, if you want this, we’ve got a special, swipe up, buy it. So on the actual videos, I do not. Those are typically not monetized. I’m thinking more about relationship building and I’m thinking more about just wanting to share my heart and I want to answer questions. So for me, it’s very much like everything that I do is in some way going to relate to building that audience and building that trust. So that ultimately, yes, it is going to bring in income. But for me, it’s not all about the money, right? So I think a lot of people. it’s not. So it’s like you’re doing things, because you want to build a relationship because ultimately, my heart is just really to help people. And so I want to be able to do that. And Instagram Live as well as IGTV, as well as putting the videos on Facebook, allows me the opportunity to be able to deepen that relationship and really help people. That’s so nice. I mean, again, what’s interesting is I would have thought you’d be monetizing those videos and not your stories, and actually, it’s kind of the reverse. it’s a lot harder to monetize on IGTV as well as an on Instagram Live because you can’t really put a link. So stories are so much easier to monetize because you can just have the swipe up. When you tell people, Oh, you know, go click on the link, or you can DM me or whatever, they will but it’s just a little bit more clunky. And so I try to focus on, you know, where’s the best ROI. And I do sometimes say, you know, if you want to DM me or you can go to this link, sometimes I’ll do that, like if I’m promoting a podcast or if I’m promoting the Five Days to a Better Morning or something where I have an easy link that they can go to. But typically, I’m just focusing not just about relationship building when I’m doing those videos. And what I love is that at the core, your goal is to help other women. And you can also make a living at that. Yeah, and they’re like the best job. But those are not in conflict. You know, I think a lot of people especially women feel like that monetizing is a dirty word, and that somehow it’s spammy, or it’s insincere. But there is a way to say, You know what, I drink a lot of water, I get a lot of benefit out of this water bottle, let me share it with you. It makes my life better, it can make your life better, too. Yeah. So my last book that I wrote was called Money Making Mom and really, that was my heartbeat behind it, was to help women, show them how you can make an income so that you can make an impact. Because ultimately, I am so passionate about giving and that is one of the things, why I do what I do. And we fund a big organization in South Africa. And I’m just really passionate about South Africa, and the babies and little kids there and just getting to go there and help with projects there and everything. And so that is really, you know, I know that not only when I bring in an income that is earned by helping people by providing resources that are going to help people at a price that they can afford, not only is it helping our family, and not only is it able to then pay our team well, but then it allows me to be able to give generously both in the US and then around the world. I love that. I love that it’s so aligned, you know, I really do. You’ve been able to build this really successful business, give back, feed your family, and you’re excited about what you do. Yes, I feel so blessed. And that’s why I’m so passionate about helping other women because I feel like if I can do this, I don’t have a college degree. I struggled in school. When it came to academics, I was the person that wouldn’t have ever said, Wow, she’s just really going to go far in life. Like, I just didn’t have a lot of gifts and talents growing up. I just wasn’t one of those people that just stood out. But so I feel like if I can be able to be successful as a blogger, when I’m not a techie person, when I have struggled through this and self-taught so much. Anyone truly can. If you’re willing to just put your head down and put a lot of passion into it and stick with it. I love that. So in the landscape of social media, because you are this early adopter, where do you think the next opportunities are coming? You know, that’s interesting. I’ve really been looking there’s always new social media coming down the pike. And every time I hear of one that looks like, oh, there’s some potential here, I look into it. Right now, I don’t see any up-and-coming social media that I’m like, that one is really going to go far. But I do see that there is a movement from kind of being mass social media to being more personalized. So that’s why I talked about like there’s so much gold in direct messaging. And I think so many people miss out on that because they’re not building those one-on-one relationships, because they feel like oh, we need to go after the big numbers and forgetting that the one on one is where you really build your business. And I also see that private groups that are smaller, that’s what people are really hungry for right now. And so I’m looking for opportunities, where like one of the things we did last year was we set up a Facebook group for Money Saving Mom. We always just had this Facebook page that had hundreds of thousands of followers. But we set up a Facebook group that I think there’s like 11,000 people in it, and it’s a much more intimate sort of experience. And so looking for opportunities to be able to provide that for people, so that they feel like they’re part of something and that they’re seeing and they’re known. I love that. Okay, now, you mentioned that you had started a group for online entrepreneurs. Can you just share what that is and how people can find out about it? Yes. So a few years ago, I started Your Blogging Mentor. It was something that I had wanted to do for a really long time, but just didn’t have the capacity with everything else that was on my plate, and I wanted to do a good job of it. So I started Your Blogging Mentor, which is is a blog to help bloggers make a part-time to full-time income from blogging. And that’s really my heartbeat for it. And then I have a number of courses that are very much beginner courses to help you to set up your blog and to set it up successfully, set up your email list, you know, know how to brand yourself well, and those are at Yourblogginguniversity.com, and those are all $37 each. I try to keep everything very accessible and affordable for people who are starting out because I know what it’s like to, you know, not have a lot of money when you’re starting out. If you were to tell people like where is the opportunity to start making money, what would you say it is? So I am actually working right now on a course called Monetize Your Blog. I’ve been spending a lot of time in this space trying to figure out, you know, where would I tell beginners to start. And you start with that and knowing what you’re good at so that you are making sure that what you’re putting out there, you’re going to be in it for the long haul. And then based upon that, once you have built up some… I feel like you need to have some good posts in queue and also published, then I think the easiest way to start is by just putting advertising on your sidebar, it’s super easy to start there. And then I would say starting with understanding referral programs and affiliate programs because that is really easy, you know, kind of low-hanging way to be able to make money. I couldn’t agree more. I think that getting millions and millions of page views, that’s the long game. But I think becoming an expert in something and building that sense of trust so that people will buy what you recommend like the water bottle. Yes. And I realized I didn’t finish your question. So I started Your Blogging Mentor and then Your Blogging University. And then I got so many requests from people if I could do more one on one coaching. And I just didn’t feel like I had the capacity for that. I did dabble in it a little bit. And then I did a few four-week blog coaching groups. And really, really loved kind of teaching on a smaller level where it was just a few hundred people and teaching them and getting to go deeper with them. And so a few months ago, we launched Your Blogging Mastermind, which is kind of my big project right now and you can find out more. We’re actually opening up again and we’re opening up the doors to the public in just a few weeks, and it’s going to be at YourBloggingMastermind.com. But that is just a really a place for me to teach other bloggers who are just really desiring to make a part time to full-time income from blogging, teach them what I’m learning from my mistakes and from my successes, and just really pulling the curtain back and showing them what I’m doing, what’s working, what’s not working, what I’m learning; what is helpful to me, what right now I’m experimenting with and how it’s going for me. So not only is it that, but then it’s also such a great place for being able to meet other bloggers, get feedback, get that honest accountability, you know, say, Hey, can you look at my sales page, give me some, you know, great feedback on that. And so I teach a session every month on a specific topic. And then I do a follow-up session that is a critique session, so then people can submit their blog post or their Instagram or whatever it is that we’re talking about that month. And I then we’ll just critique a bunch of them and invite everyone else in to help critique so that we can as a group, make your blogs and your social media better. Oh, Crystal, that is terrific. Okay, how can people reach out to you, find you, like, I know you’re everywhere. So where would you direct people to learn more? I think my favorite place to tell people to go to is Instagram. Okay, so I’m The Money Saving Mom on Instagram. And side note, I had Crystal Paine and then I heard all the experts say you should brand yourself. So I switched over and I wanted Money Saving Mom, but it was already taken. So then I went to The Money Saving Mom, and now Crystal Paine is taken. But anyway, yes, I’m always just get your brand. Right? On social media even if you’re not using it. So I’m The Money Saving Mom on Instagram. And that’s where you can see my Instagram stories and just get a behind the scenes look into my life and kind of build the relationship. And I look at all the comments there, read all the messages and try to reply to as all of them as I’m able to. And then also, if you want more blogging, help and encouragement and inspiration, check out Yourbloggingmentor.com, and I’m Your Blogging Mentor on Instagram. I love it. Well, Crystal, I really do believe like you were one of my best friends. So which is just kind of funny but true. So if you want Crystal as a best friend, go watch her stories. That’s what I would say. Totally. Well, Crystal, thank you so much for being on the show. 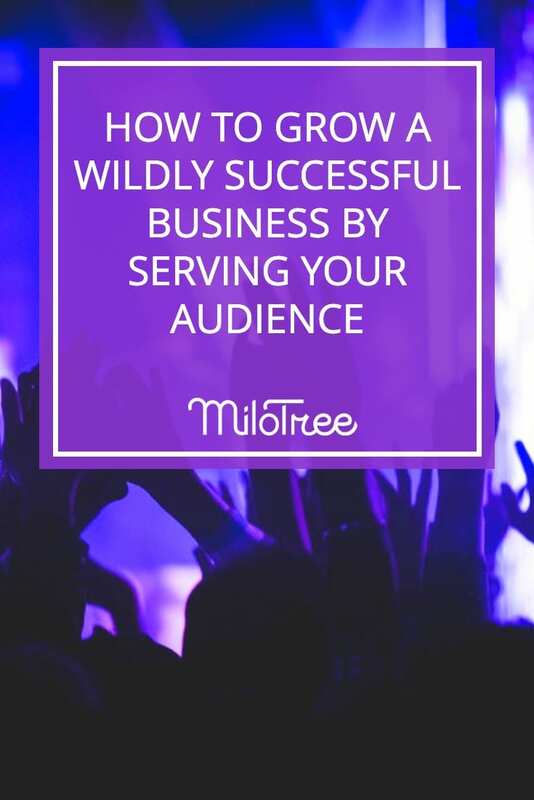 If you’re ready to incorporate Crystal’s tips into your business, and you do not have the MiloTree Instagram pop-up installed on your site, right now head to MiloTree.com. What you will be able to do is convert your visitors into those highly engaged Instagram followers effortlessly and start growing your business faster.